SINGAPORE, 23 December 2015 – Singapore Changi Airport handled 4.64 million passenger movements in November 2015, an increase of 5.0% year-on-year. Aircraft movements were also 2.5% higher with 28,730 landings and takeoffs. Cargo shipments improved 2.5% to 160,500 tonnes, compared to the same period last year. Growth was particularly strong for traffic to and from Australia (+12%) and New Zealand (+17%). Among Changi’s top 20 country markets, double-digit increases were also recorded for Cambodia, Japan and Taiwan. For year-to-date movements, a total of 50.2 million passengers travelled through Changi Airport, 2.4% more than the corresponding period in 2014. Airfreight shipments held steady at 1.69 million tonnes, while flight movements grew 1.3% to 315,710 for the same period. As at 1 December 2015, more than 100 airlines operate at Changi Airport, connecting Singapore to some 320 cities in about 80 countries and territories worldwide. 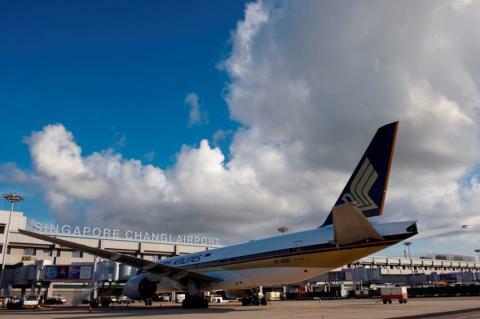 With more than 6,800 weekly scheduled flights, an aircraft takes off or lands at Changi roughly once every 90 seconds. New Services – Enhancing links to South Asia, Tigerair launched a new thrice weekly service to Lucknow, India from 3 December. Along with Bangalore, Chennai, Kochi, Hyderabad and Tiruchirapalli, it is the sixth Indian city in the airline’s network. With this new service, there are more than 390 weekly flights that connect Singapore to 13 cities in India. 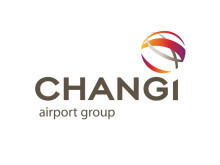 Other new city links for Changi Airport are Pattaya (U-Tapao) in Thailand and Guiyang in China. The former has been served by a new daily service operated by Thai AirAsia since 27 November, while Jetstar Asia started a new twice weekly service to Guiyang on 14 December. Jetstar Asia has also launched thrice weekly services to Danang, Palembang and Pekanbaru. New Stores – In the public areas, fast fashion brand Yishion, Giordano and sandwich chain Subway have commenced operations in Terminal 3, with The Coffee Bean and Tea Leaf opening its fourth airport store in Terminal 1. In the transit areas of Terminal 2, enjoy a host of culinary delights from Pho Street, Hong Kong Sheng Kee Dessert, Bee Cheng Hiang, Starbucks Coffee as well as fresh fruit smoothies from Australian juice bar Boost Juice. Health and wellness stores Guardian and OSIM have also opened in the same terminal. Last but not least, shopaholics can now indulge in retail therapy with at The Fashion Gallery (Terminal 1), Charles & Keith (Terminal 2), Rolex and Longchamp (both in Terminal 3).